May the blessings you count be numerous this Thanksgiving! And if you are alone or suffering, let us be thankful that there is a chance to still help you through your pain. 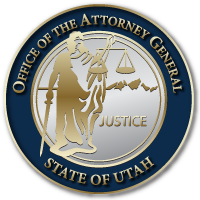 On behalf of the Utah Attorney General Sean D. Reyes and the Office of the Utah Attorney General – Happy Thanksgiving! This entry was posted in Recent Posts and tagged Sean D. Reyes, Thanksgiving, Utah Attorney General on November 22, 2018 .